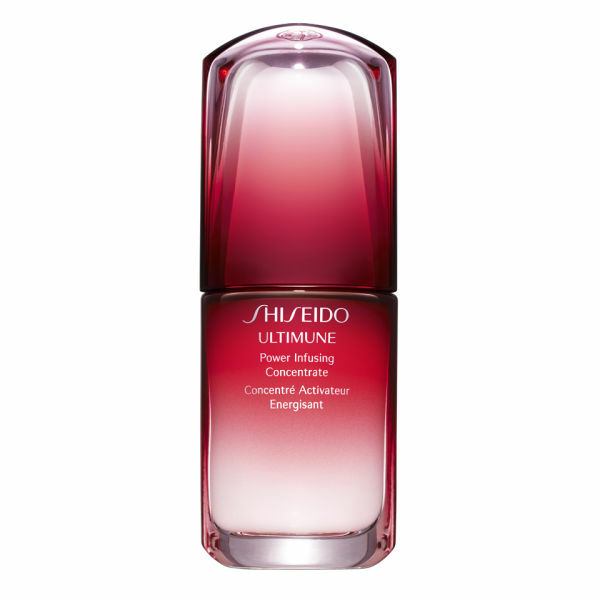 The Shiseido Ultimune Power Infusing Concentrate comes in a 30ml bottle and is designed to offer you the protection you want against ageing and environmental damage. The power-infusing concentrate can also help with the damaging effects of stress. This is a serum that can help to reduce the appearance of your wrinkles and fine lines within four weeks, but it has the added benefit of being able to make your skin feel much smoother and firmer. This Shiseido product is perfect for mature skin and can help to nourish ageing skin. 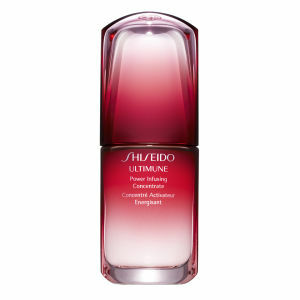 The Ultimune Power Infusing Concentrate is best used with other Shiseido products. Water, Sd Alcohol 40-B (Alcohol Denat. ), Glycerin, Dimethicone, Butylene Glycol, Peg/Ppg-17/4 Dimethyl Ether, Triethylhexanoin, Ammonium Acryloyldimethyltaurate/Beheneth-25 Methacrylate Crosspolymer, Phenoxyethanol, Peg-14m, Methylparaben, Tocopheryl Acetate, Peg/Ppg-14/7 Dimethyl Ether, Rosa Damascena Flower Water, Acrylates/C10-30 Alkyl Acrylate Crosspolymer, Fragrance, Disodium Edta, Potassium Hydroxide, Silica, Isoceteth-10, Linalool, Ginkgo Biloba Leaf Extract (Ginkgo Biloba), Geraniol, Citronellol, Sodium Carboxymethyl Beta-Glucan, Bht, Thymus Serpillum Extract, Perilla Ocymoides Leaf Extract, Sodium Bicarbonate.